We have already been able to observe various technological improvements concerning the increase in the lifespan of various devices from a single charge — however, today the results of an interesting technical experiment related to an increase in the time and distance of the drone’s flight were presented. It is about the development of Professor Vikas Prakash of the Case Western Reserve University, which is a new type of single-propeller drone with a wide wingspan, inside which are placed additional batteries and battery connections to increase the charge capacity of the drone. And the test results turned out really great. The wingspan of such a prototype drone itself reaches about 2.1 meters, which is quite large, but not the biggest indicator. Professor Prakash's idea was to unload the main body of the drone by placing additional batteries inside the wings, thereby simultaneously providing a looser space in the middle of the drone, which allows it to increase the luggage compartment, if necessary. In addition, the integrated wing-mounted battery system made the drone more maneuverable and agile, which is an exceptionally positive aspect of the innovation. 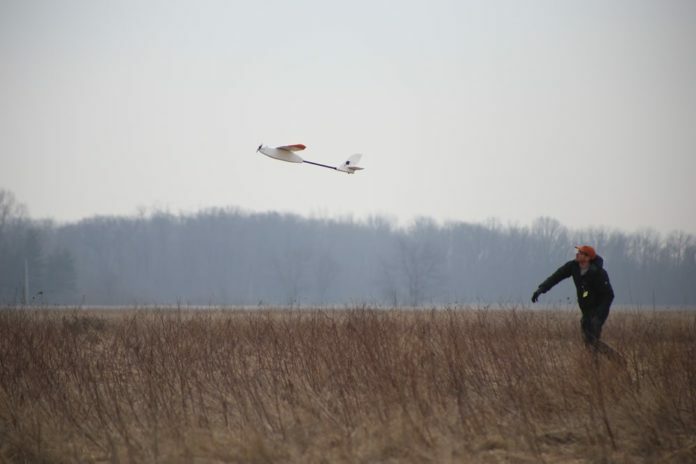 Tests were conducted in the airspace of Springfield-Beckley airport in Ohio, USA - the drone was first launched without a wing-mounted battery system, and then with it. Without it, the drone hung in the air for about 91 minutes, and with this system he managed to hold out for 170 minutes - which is almost three hours, which is really an achievement for small and medium budget drones. Thus, the illustrated indicators clearly prove that the development of an under-roof system for additional batteries is a great idea in increasing the autonomy and life expectancy of an average drone from a single charge. However, there are still some controversial points and aspects in the system that are directly related to the correct selection of additional structural features and moments.